Silverwing wrote: On the last page, is that Starscream calling Bumblebee "old friend" or Optimus? I am almost entirely certain that is Starscream speaking to Bumblebee. Optimus is entirely to one side as the conversation starts and continues. 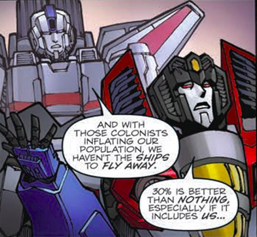 I am completely certain our main man Mr. Long took care of making up for this weird panel layout (there is no reason to show Optimus' back here) by pointing those bubbles to distinguish between Starscream and Windblade based on height, making it natural (to me) to assume Starscream is the one speaking. Back again are we? Well, here we are, halfway through the epic Unicron finale, the giant be-all-end-all story for IDW, the culmination of 13 years of stories. So where do we sit halfway through the 6 part finale, minus a free comic book day intro? Well, we don't actually sit too far away from where we were last time. The thing about this issue is that, objectively and character-wise, it was good. But pacing wise, I feel like it slowed down some, a bit too much. Now that's not to say the comic is bad by any means, because it isn't, but I feel like it should have moved just a smidge faster. Pacing wise set aside, let's take a look at what else the comic had to offer. Probably my favorite part of the book was the core character moments. Characters like Bumblebee and Aileron shined together, with Soundwave providing a subtle but meaningful voice in his moments of time. But Starscream once again continues to steal the spotlight, and between last issue and this issue, we truly see his Till All Are One redemption story and his past self truly merge to create a genuinely great and enjoyable Starscream. The other characters included and the overall action in orbit are also present and they did their part, albeit maybe just a teensy bit too briefly. I understand that this is a dense book and it's basically the big climax of 13 years, but I still think an extra few panels could have made the battle in orbit a bit more memorable. Victorion and the torchbearers themselves stood out, while Elita-1 sort of fizzled out. 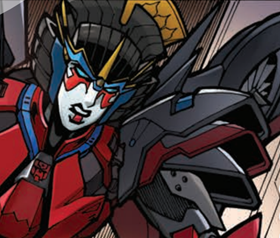 In a way, Windblade was also sort of just there, as I felt her role really was just telling everyone how terrible they really were over all those years and how this is the final true end result. That said, her and Arcee did work well together, and she served as s a good bounce back for many of Arcee's good character moments. And meanwhile, Unicron is there, not really doing anything the whole issue except being huge and intimidating, with one brief 1986 callback moment, albeit not the one I would have hoped for. He felt like background in the issue, like the threat is right there, but it really doesn't do anything until page 19. 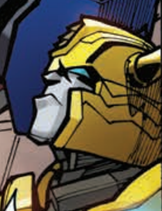 But despite this, it's not like he just spoke to the assembled living beings; no, he remains mute save for his 2 words repeated only once from their initial quote, and honestly, in this case, I think this is all Unicron really needs to be at this point. His presence is enough to satisfy his appearance in the book... at least for now. Art for this issue once more continues with Alex Milne leading the lining charge, Sebastian Cheng on colors (with David Garcia Cruz this issue too), and Tom B. Long heading up the lettering. The issue was certainly another tough task to conquer, but once again we have some great art and great visual moments. The combination of yet more intense space battle and cluttered city views could be enough to bury some artistic teams, but this one keeps on chugging away. The visuals are stunning, and it is amazing how, despite the constant shifts from glowing bright light to darkened areas, the action still stands out, the lines are still pronounced, everything still works. It is magnificent. Also, the shading on the characters works incredibly well. It still amazes me when Milne can make someone with one eye and no face, a faceplate and eyes, or even a faceplate with just a visor still emote as though they had a full normal human like face. This issue felt a bit like it was spinning its wheels in some areas and house cleaning in others, but still delivered on characters and intimidation. I would be doing the book a disgrace if I said it was bad or even mediocre, simply on the weight of the characters and the visuals. But I also feel we are at that point where things should be picking up, and they aren't fully up to my standards quite yet. This appears to be a pattern with recent books, where the first issue comes out swinging, the next 2 are sort of there, advancing the plot and characters but not accomplishing a whole lot, before we get the full on charge to the finish. Now I don't mind that, especially as someone who primarily buys the Trades, but I wish we could have just a bit more in those early-mid issues. That said, if that last page didn't give you a least a bit of a chill, get out here. In the same way the last part of issue 2 hyped me up, issue 3 did the same. Now I'm hoping it can deliver a little bit more than issue 3 did following issue 2's last pages. 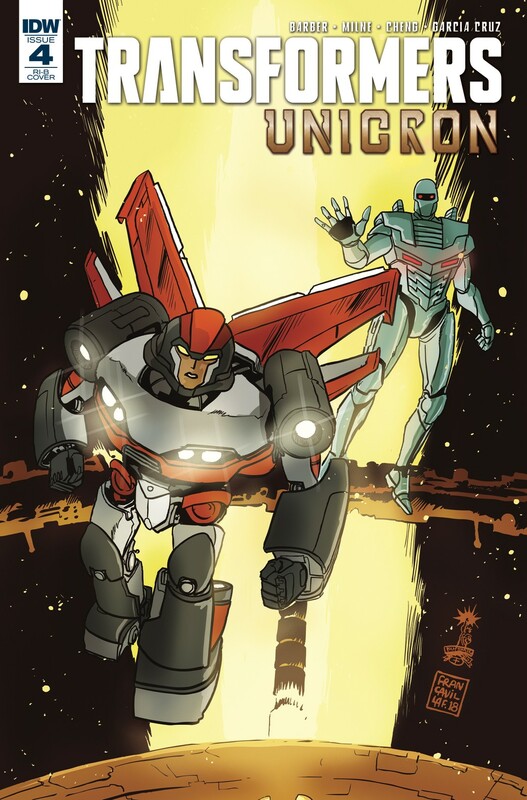 For all the covers part of this issue, take a look at the Vector Sigma Comics Database entry here. And of course, seeing as how we are in a Unicron review, I give you the spotlight/title song for this issue (A tough one to pick I might add): Monster by Skillet. Great review D-max! To think we're already half way through this event. Meh. Unicron needs to "do" more. All these colonies worlds are wiped out like *that* one right after the other... but no on Cybertron... let's just float and look tough. The impact of losing whole planets is bad, but feels a bit ambiguous due to lack of much specific loss-outside the mistress of flame-. When your known characters start to be taken down, it makes it feel more real. Three characters in particular, with one prolonged fight scene, were what sold me on this. And made me feel really bad for those involved. Yeah. I've been having feels over the one(?) from that fight scene. One of the other deaths I think is a fake out based on the last page. My biggest feels in this book (since #1) have been Arcee, Aileron, Starscream, and Windblade. There is SO much going on with all three of four of these characters and this issue really ratchets it up a few notches. I'm particularly worried about how Arcee's revelation about serving the 13 Primes is affecting her and Aileron (since I've felt that part of their connection was that Arcee didn't mock or denigrate Aileron's religious beliefs). Motto: "I will find you, and I will kill you"
I quite like this song theme we've got going on here. The Autistic Lonely Cracker has spoken. Carry on as you were. Ms. Trebuchette wrote: I'm particularly worried about how Arcee's revelation about serving the 13 Primes is affecting her and Aileron (since I've felt that part of their connection was that Arcee didn't mock or denigrate Aileron's religious beliefs). Indeed, considering arcee's idw origins were mired in a little controversy, I think she's come a long, long way and is all the better for it. As for that final shot, I think it's definitely not what it appears but they have one act left to preform...then its for reals. One thing I really want to know though, is how bludgeon became involved with Unicron, like how did they meet? Why didn't Unicron kill bludgeon or convert him like the others straight away. The Lonely Cracker wrote: I quite like this song theme we've got going on here. Thanks! Don't ask how it started, I just went with it after I liked how #1 went! ZeroWolf wrote: One thing I really want to know though, is how bludgeon became involved with Unicron, like how did they meet? Why didn't Unicron kill bludgeon or convert him like the others straight away. I'm wondering this as well, Bludgeon and Monstructor have been everywhere since this continuity even began, I'd like to know more, especially with how they reconfigured into Maximal/Beast forms. They both look amazingly badass in those forms too. I'm thinking that both Elita and Stormclash are dead. WE finally witness a combiner have one of its limbs killed while conscious and combined, and I liked seeing that. Kinda a shame about the crew of Carcer though, especially since we still don't know which planet they came from (and therefore the ore they had), and did we ever solve the Carcer/Tempo thing? Also kinda cool that this issue seemingly confirms Unicron was the 13th colony. I think Cybertron is dead. Windblade's plan somehow involves Metroplex and Trypticon together bridging the population elsewhere, like a 2 way bridge seeing as where Tryp is or something like that. I also suspect that LL may still play a part in the very conclusion of the story. Seeing as how Rung is Primus (I will elaborate on 2 theories in the LL thread, but anyways), and if this is true, what if Rung/Primus take control of Functionist Cybertron, thus we have a new homeworld and the one beaten and battered and eventually destroyed by Unicron can stay gone. Also, I am pretty convinced Unicron is either just gonna tear the planet apart and not eat it, or the poison only makes him stronger when he does consume Cybertron. Well regarding your last theory, depending on how much bludgeon knows, unicron could be prepared but I agree with you about the fate of cybertron...will this be the third time that it's destroyed? 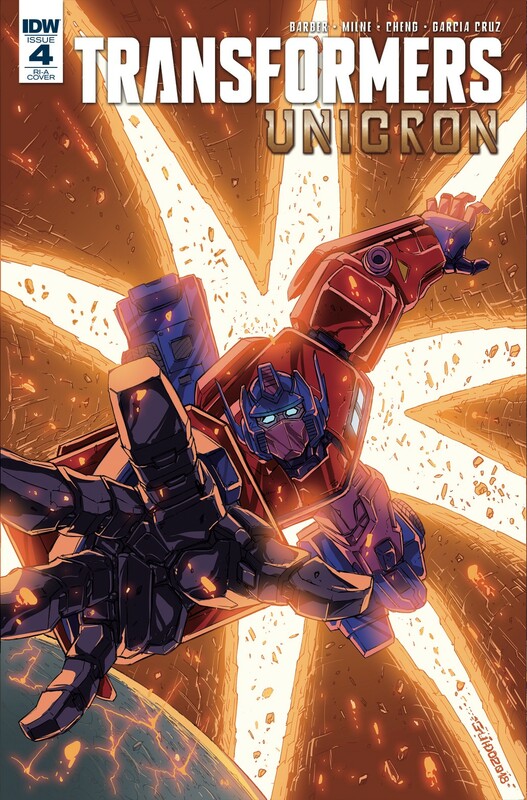 Directly from IDW Publishing on Twitter, we have news that the first two issues of the last mini series in this narrative continuity - the Transformers: Unicron six issue title - have reached a second publishing threshold, thanks to being sold out at distributor level! A useful reminder, as ScottyP phrased it, is that this means that direct market distribution company Diamond had no more copies to send retailers placing new orders, not that all issues currently in shops have been sold out. Nevertheless, take a look at the special variant covers, mixing line art and colours, for Unicron #1 and Unicron #2 below, and read our reviews for the issues respectively here and here. Just broke down and read 1 - 3. 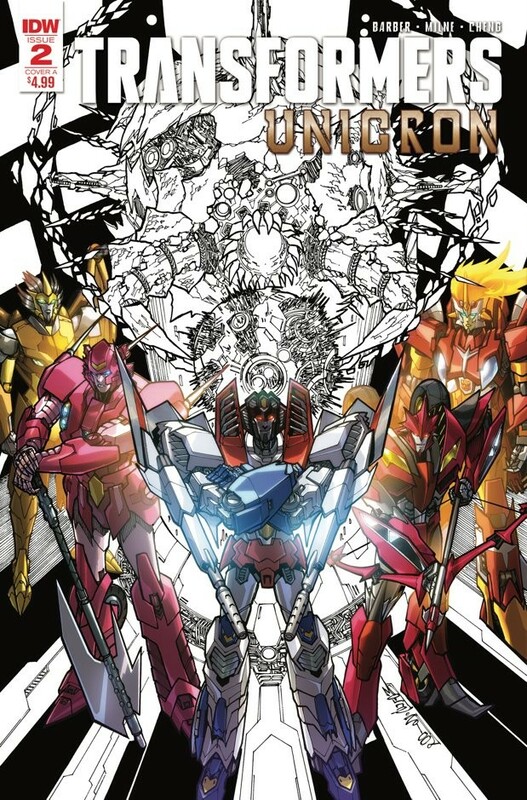 I was going to wait till the main series concluded, but realized Op and Unicron have reached a point of over lap. Damn, can some body make up their mind on Starscream's characterization? 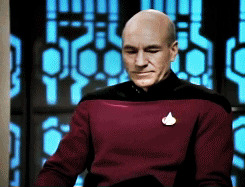 Back from Hospital hiatus once more. I wanted to hold off commenting until I read #3 (it was a little late). Why does Unicron always do less when he transforms? I think they could have at least kept him in Planet Mode until issue 4 (of 6). It's not like Transforming him now has actually added anything to the story? In Planet Mode he was an approaching threat, in Bot Mode he is just ...lurking? Plus the (I assume) Transformation homage to The Movie in issue 2 was really weak. It wasn't a static scene, so the translation to panels just doesn't pop in the same way. The whole fate of the Decepticon armada really seemed to have been ill-conceived too. I had to look up on the Wiki just what actually happened in issue 2, as it didn't make any sense by panel alone. The visuals didn't really convey what had happened in any meaningful way. Which continues into issue 3 as, by the dialogue, they look "so different" yet on the page.. a little more dented?? A clearer art style would have benefited the action scenes too. Like EJ Su or Nick Roche, as going into issue 3 I'm starting to find the art distractingly overly detailed IE from the very first panel. Coupled with the point I've made before concering the OP/LL casts, wherein there are too many characters with the same colour palette and visual cues. 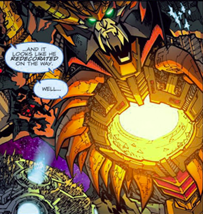 ZeroWolf wrote: Why didn't Unicron kill bludgeon or convert him like the others straight away. Maybe there's some kinda side effect from the Pretender process he underwent. Possibly the same regarding Monstructor being such a peculiar creation of entropy. As an aside, did they ever give a reason how Bludgeon recovered from his fate Stormbringer? 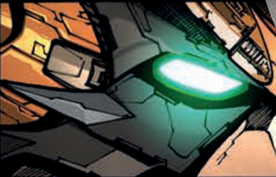 Or was it just dismissed as "Jhiaxus fixed him, off-panel"? 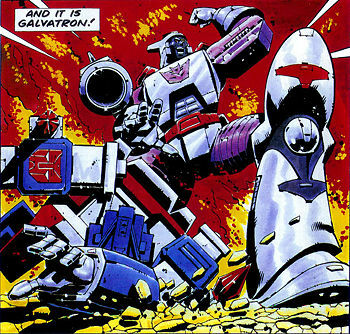 I'm trying to remember his next appearance after stormbringer...was it redemption of the Dinobots? Or was it Dark Cybertron? ZeroWolf wrote: I'm trying to remember his next appearance after stormbringer...was it redemption of the Dinobots? Or was it Dark Cybertron? Pretty sure it was an "Oh look! There's a cogent Bludgeon! Never mind how he got better!" I see. I thought as much. It's funny that Furman seemed to treat a lot of the old concepts as 'one & done' in early IDWverse. Stormbringer seemed like the only story he intended for the Pretenders, hence why all the others were dead, Thunderwing was depowered and Bludgeon was trapped in his own body, by the end of the story. Ironic given that Bludgeon was traditionally one of his favourites in Marvel TF. Bludgeon showed up in All Hail Megatron with Monstructor harassing Hot Rod and another team of bots that included some Wreckers. And then after that in Syndromica. Bludgeon surviving and regaining his sanity was an AHM thing that just kept going. I forgot all about his appearance in AHM...In fact I've forgotten a lot of things in AHM, probably on purpose. 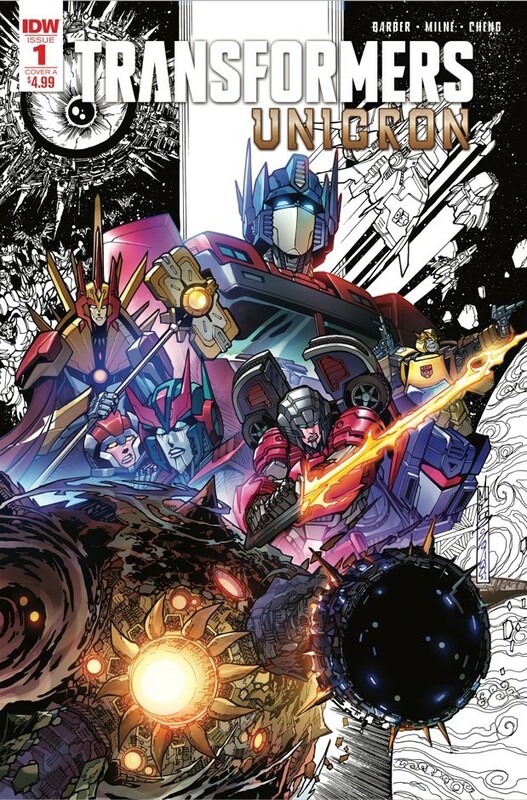 After yesterday's news in the form of solicitations for the IDW Publishing comic due out this November 2018, which you can see again here, we also have two variant covers released on Previews World for the fourth issue of the universe ending mini-series Transformers: Unicron. Both for the same issue, and featuring the well known Italian names by now of Guido Guidi and Francesco Francavilla, the covers mirrored below show three of the major players in the series: Optimus Prime (in distress) and Aileron and Rom meaning business. Check them out below!